One of the quintessential English Transferware patterns is Asiatic Pheasant. Not one, but many, manufacturers produce this pattern. And in my mind, they all go together well. It is interesting to note, that not all blues are alike!!!! For the manufacturers and their blues differ substantially! 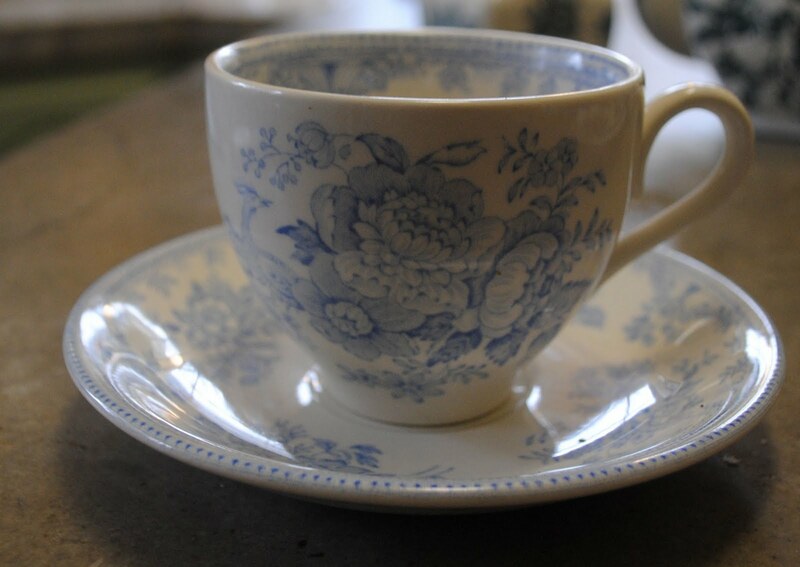 A teacup and saucer by Burleigh. It's a paler blue -- a soft blue. It has some age on it but not much. 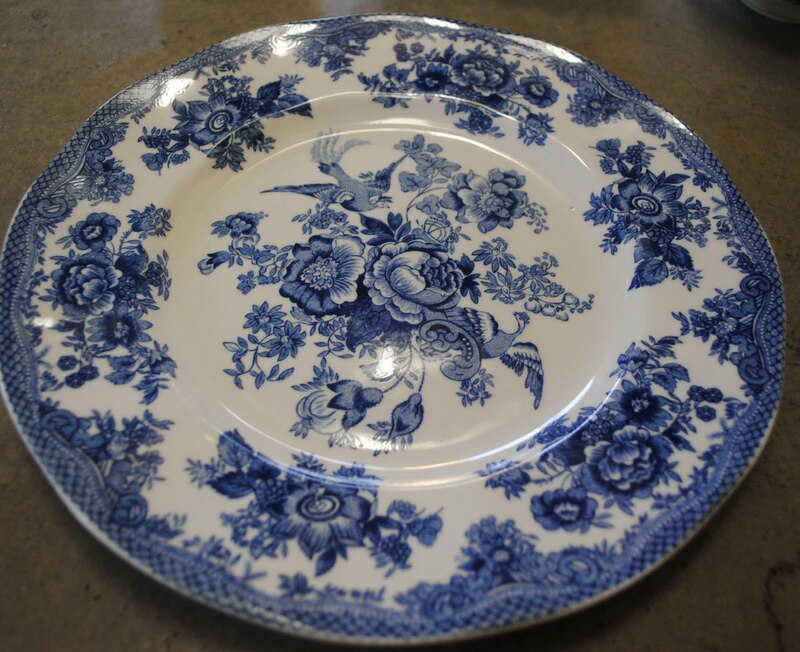 Asiatic Pheasant is still being produced today and still by many different manufacturers. I only have 3 and would love to have more -- I have my eye on a source or two so I may be able to fill any Burleigh Asiatic Pheasant cup and saucer voids in the near future! 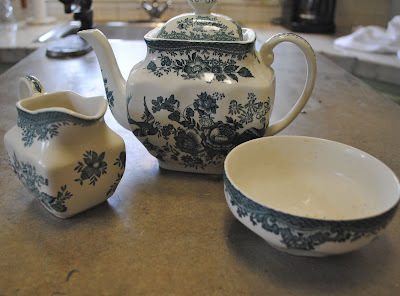 Wedgwood teapot, sugar and creamer. 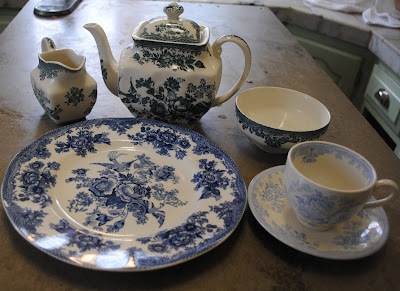 It's more of a teal and it came with tea plates and cups and saucers as well. It's older and I've had it a while. In fact, it was my first Asiatic Pheasant. These pieces still hold a place in my heart! Here are all three manufactures and they go well together because they're all the same pattern even if different hues. 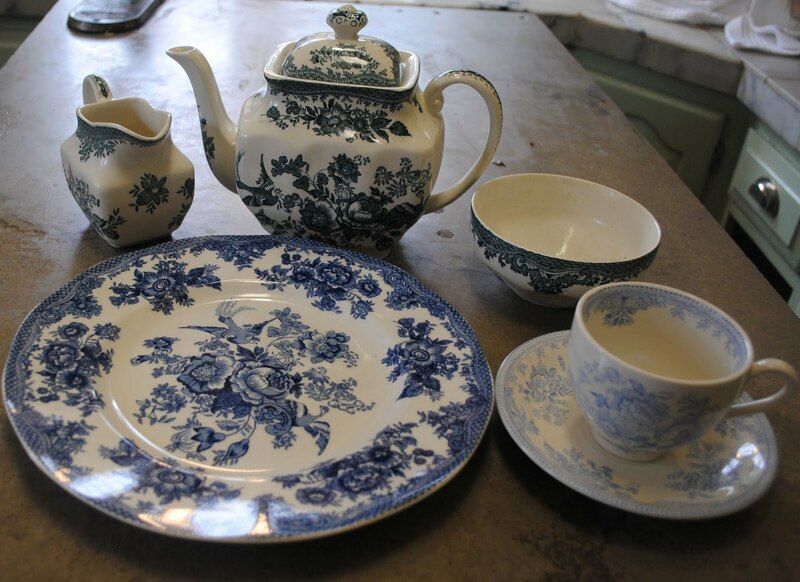 I love to mix and match my blues and I also have my eye on some salad plates . . . . It's Tuesday and I'm joining Tam at The Gypsy's Corner for Three or More Tuesday -- because I have three different varieties of Asiatic Pheasant! Collecting hyacinth forcing vases is a hobby of mine. You don't see them often and when I do and they're at a price that is reasonable they come home to Linderhof! I'm not "picky" about color for I've pink ones, green ones (a lucky find -- a pair -- rare indeed! ), a blue one and a clear one. I love the light shining through the vases on the kitchen windowsill as I wait for the bulbs to grow and bloom. Once bloomed, they're often moved to different parts of the house. And the smell . . . it is heady.! I'm not sure there is anything as fragrant as a hyacinth. And their bloom reminds me that soon Spring will be on its way and the bulbs outside will soon be blooming filling vases at Linderhof once more with garden flowers. Although the vases at Linderhof are many colors I prefer one color of hyacinth. Some years it's blue and others years white. Pink hyacinths are a rarity at Linderhof. 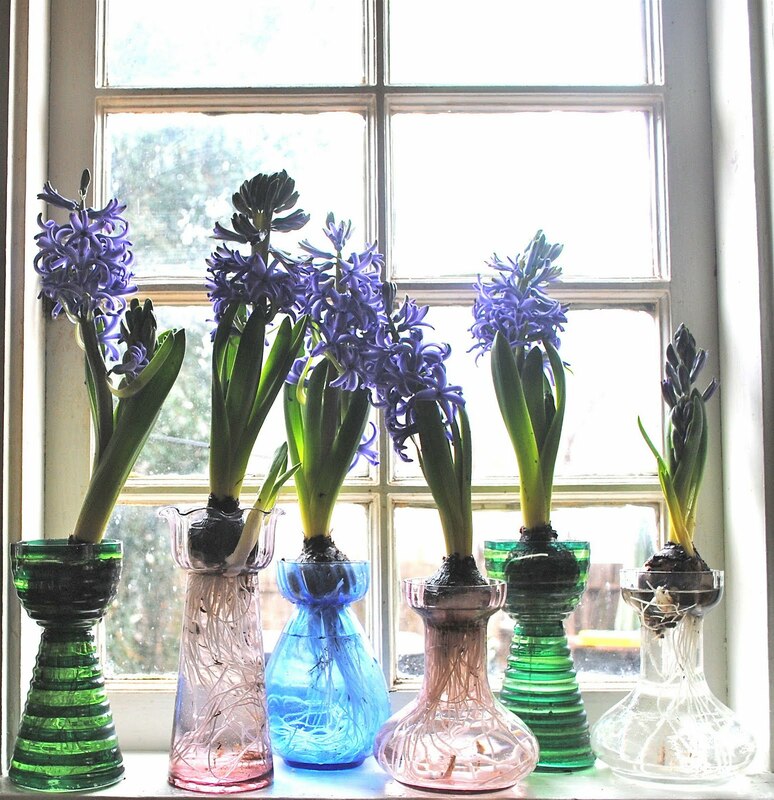 The hyacinths follow the paperwhites as a prelude to Spring. 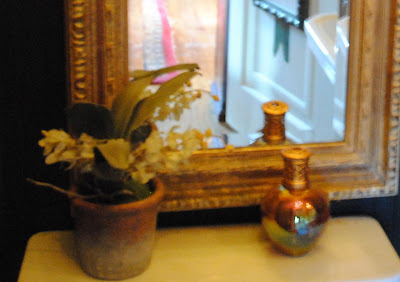 I love blooming flowers indoors and cannot imagine a January without paperwhites and a February without hyacinths! This is a blue year and I'm joining Smiling Sally for Blue Monday! And we're having a "do" at the Liberty Theatre. The Jim's (who are not gems) and their wives are hosting and it was put together as a fundraiser for the Chamber of Commerce. Sixteen very lucky people will walk the red carpet to the theatre where there will be libations and food and fun and games as we watch the Oscars on the theatre screen. 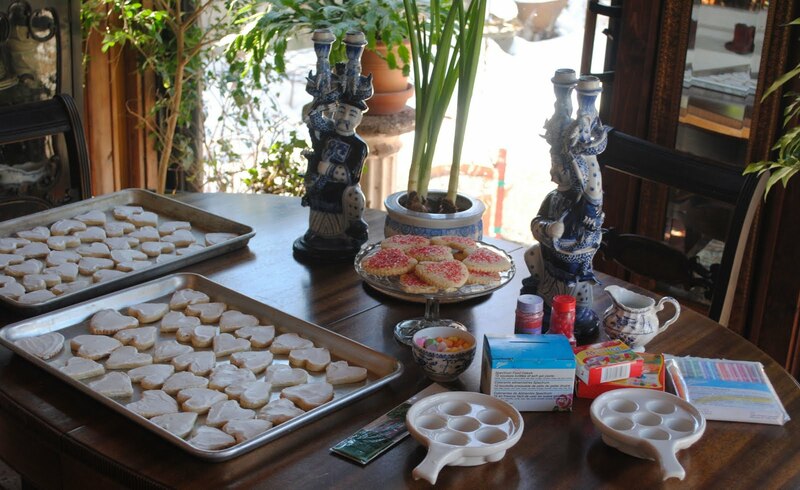 The cookies are one of the desserts (as are moon pies and chocolate dipped strawberries) -- and we have an elaborate array of appetizers to be munched on during the ceremony. The hosts will be in black tie and the gals will be dressed up as well -- this, after all, is the Oscars! We've only seen True Grit and The King's Speech -- both Oscar worthy pictures. So we'll be rooting for those and the actors who were also in those movies. Amy Adams (who cut her acting chops at the theatre in the town where Daughter Sarah lives) is another favorite. It will be a another Grand Evening in our little town on the prairie. 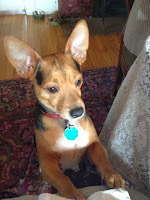 Usually our entertaining is either lunch (with mostly 4 and sometimes 6) or dinner (again with 6). The four sits comfortably at the breakfast room table overlooking the garden. And lunch is served in courses on plates. That is just how we do it at Linderhof! Dinner, too, be it 6 or we stretch the table for 8, is a seated dinner served in courses on plates. My able "assistant" for dinner parties is Husband Jim and a great assistant he is, clearing the empty plates and bringing the next course's filled ones. But sometimes, we invite a crowd. And the only way to feed a crowd is with a buffet. And though a buffet can be cold (as we did for MIL's 80th) we sometimes like to serve a hot dish or two -- especially for a winter buffet. Alas, I was lacking serving dishes for a hot buffet . . and so on antiquing adventures I found . . .
A great chafing dish -- perfect for hot crab dip, meatballs for a cocktail party, or a vegetable for dinner for a crowd. It's silver, has some age and does look pretty on the buffet -- for I've used it already -- for one of my Christmas luncheons. 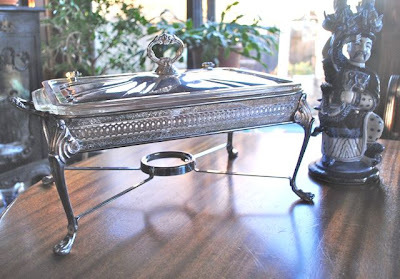 But, then, often there is a casserole involved when you do a buffet for a crowd and I felt I needed a bigger chafing dish -- one that could accommodate a 9 x 13 pyrex casserole. From oven to buffet and still look elegant. I found it -- in December when Shirley and I had our Christmas in the city. But, alas, I didn't buy it -- for it was before Christmas and I had spent money already on myself. I must admit that in January I kicked myself for not buying it and every day that I had planned to go to the city it snowed -- really snowed! So I knew, just knew, that it would be gone if and when I'd ever get back there. Valentine Day we were in the city again and we went by the shop and it was still there -- and home it came to Linderhof. 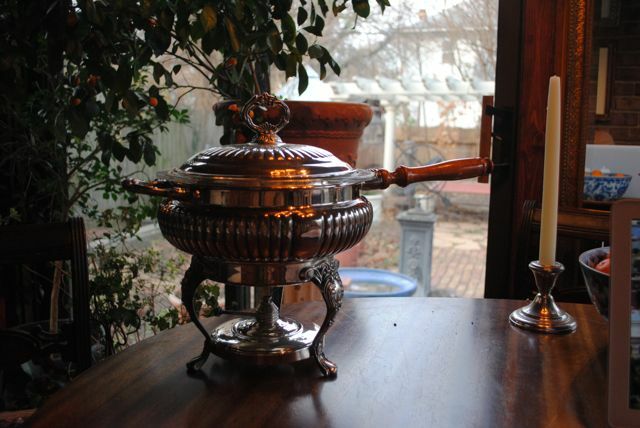 A lovely silver casserole dish -- perfect for that hot chicken salad for a group luncheon or a hot pasta dish when we have a crowd of couples over before we all head out to the Liberty. They're tucked away. Awaiting a big bash. 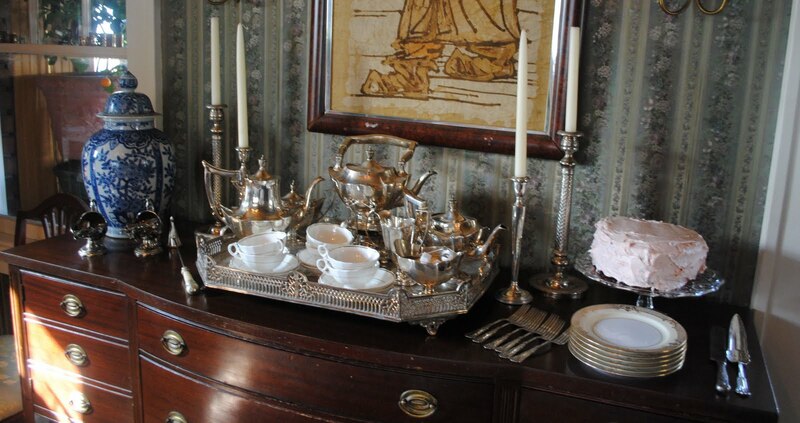 I love silver things when I entertain -- there is something about the sparkle of silver on the table or buffet that just lends an elegant air to the evening. Silver is one of My Favorite Things! 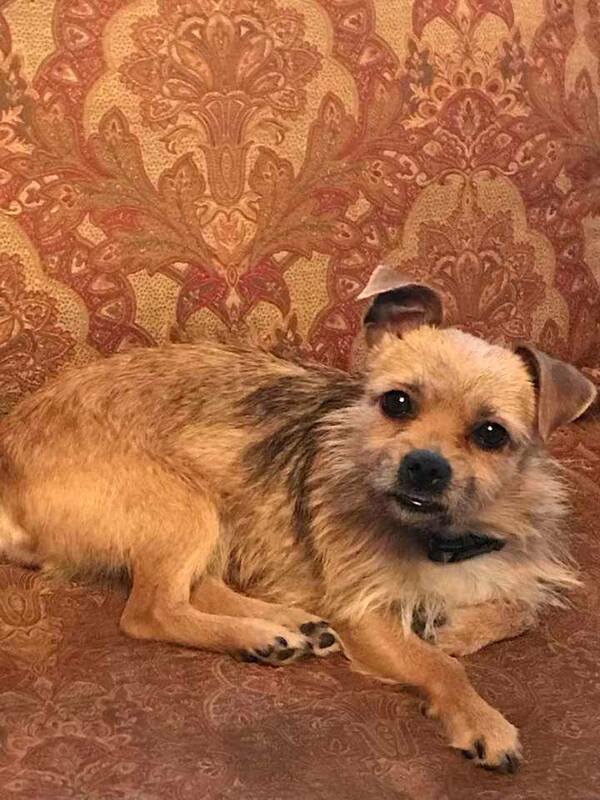 And I'm joining Cindy at My Romantic Home for Show and Tell Friday! There is always many lovely things at Cindy's on Fridays! Tea time is always important at Linderhof . 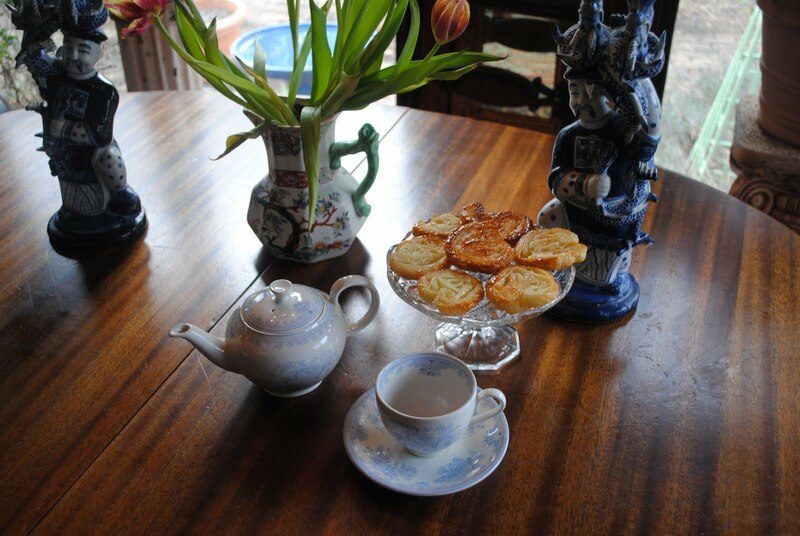 . . and every afternoon I stop at half past three for a pot of tea and a treat. 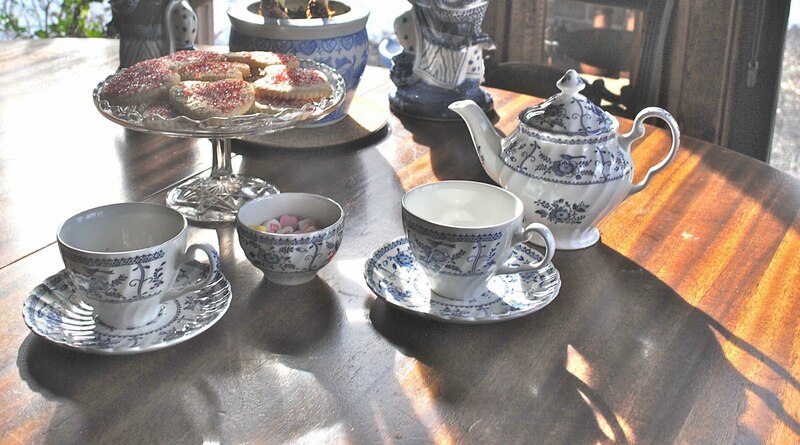 But I also enjoy having company for tea -- teas based on the teas I enjoyed at the Ritz in London and the Pump Room in Bath -- three course teas starting with sandwiches, scones and cream and jam and finally sweets. 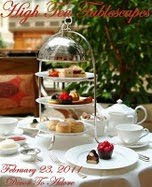 I'm joining Laura at Decor to Adore for High Tea this Wednesday. What can be better than joining a group of ladies for tea!!! This tea took place last year and I think that sometime soon, when my friends come, lunch should be tea again! Every afternoon at half past three I stop for a cup of tea . . . and a treat! The birds have been very active the last few days and Squire Squirrel also has been to the feeders more than once a day! Garden by C. W. Earle. 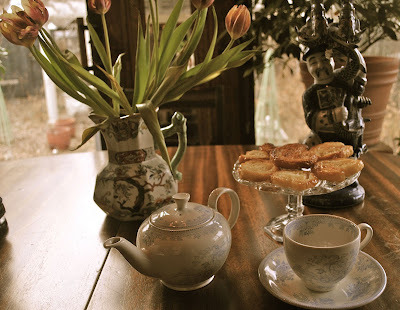 I have two small teapots -- perfect for tea for me. This one is Asiatic Pheasant. A very British pattern. I love the softness of this blue and white! filled with . . .
Palmiers. A favorite of mine. There is usually a sack in the freezer waiting to be baked off and they go so perfectly with tea! Mix sugar and salt together. Pour 1 cup of the sugar/salt mixture on a flat surface. 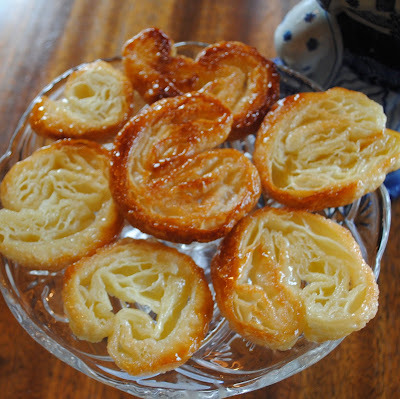 Unfoled each sheet of puff pastry onto the sugar and pour 1/2 cup of the sugar mixture on top, spreading it evenly on the puff pastry. This is not about sprinkling, it's about an even covering of sugar. With a rolling pin, roll the dough until it's 13 x 13 inches square and the sugar is pressed into the puff pastry on top and bottom. Fold the sides of the square towards the center so they go halfway to the middle. Fold them again so the two folds meet exactly at the middle of the dough. Then fold 1 half over the other half as though closing a book. You will have 6 layers. slice the dough into 3/8 inch slices and place the slices, cut side up, on baking sheets, lined with parchment paper. Place the second sheet of pastry on the sugared board, sprinkling with the remaining 1/2 cup of sugar/salt mixture and continue as above. (There will be quite a bit of sugar left on the board.) 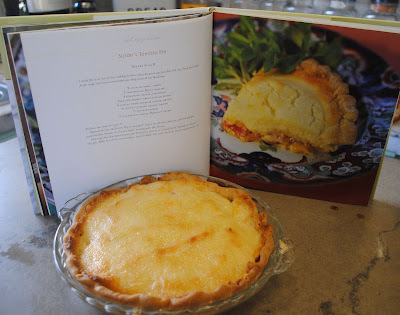 Slice and arrange on baking sheets lined with parchment or silpat. Bake the cookies for 6 minutes until caramelized and brown on the brown on the bottom, then turn with a spatula and bake another 3 to 5 minutes, until caramelized on the other side. Transfer to a baking rack to cool. This was originally posted on October 1, 2008. An early post from Lines from Linderhof!!!! We still have the big jar of Herbes de Provence which we refill each fall and the jar of lavender which we refill each June. 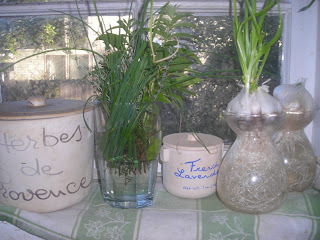 Sometimes I grow garlic in the hyacinth jars but not all the time -- and I still have a jar in the window -- only in the winter it is filled with flat leaf parsley instead of clippings from my herb garden. 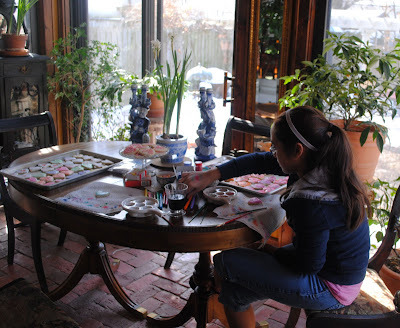 It is Sunday and time to join Chari at Happy to Design for Sunday Favorites. 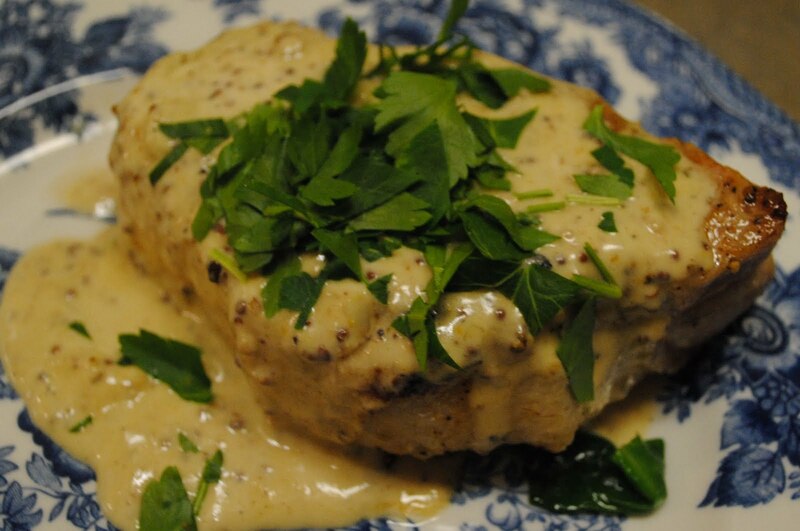 I'm doing an herb post because I'm so excited to be teaching TWO "Cooking With Herbs" classes at Red Cedar Gardens in Overland Park. More information about the classes to be held in April will be on my side bar. I love Red Cedar and often stop there on my way to Kansas City -- many things in Linderhof's garden has come from there. And two of the things that I love to share the most -- my love of herbs and my love of cooking. I do hope to see you at one of the classes! An old Williams Sonoma purchase -- the Herbes de provence jar holds that classic mixture. I take marjoram, basil, bay leaves and thyme and dry them and then crush the mixture. I prefer fresh herbs over dried but it is nice to have a jar of herbes de provence mixture at hand in the kitchen. I get excited about little things . 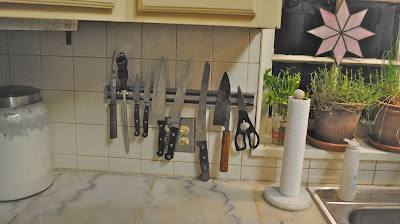 . . and my newest "little thing" is my new knife holder. 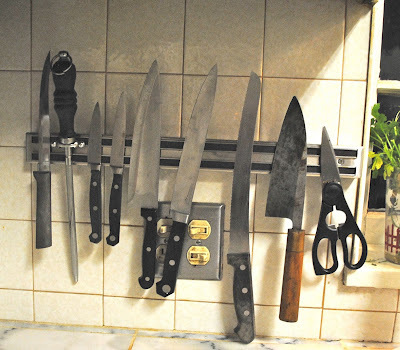 I did store the knives in one of those wooden knife blocks but they take up valuable (very valuable in my tiny kitchen) counter space and because my knives are not in a set, some of them didn't fit in the block and so they were stored "on top". And then, at my favorite kitchen shop, Life+Style, (we're so lucky that it's here in our little town on the prairie) there was a magnetic knife holder. It came home with me and languished in it's box for a long long time -- for I had to have someone install it because it would be mounted on tile. But patience is a virtue and finally, it was installed . . . and . . .
with knives lined up like soldiers in a row! It definitely was worth the wait. 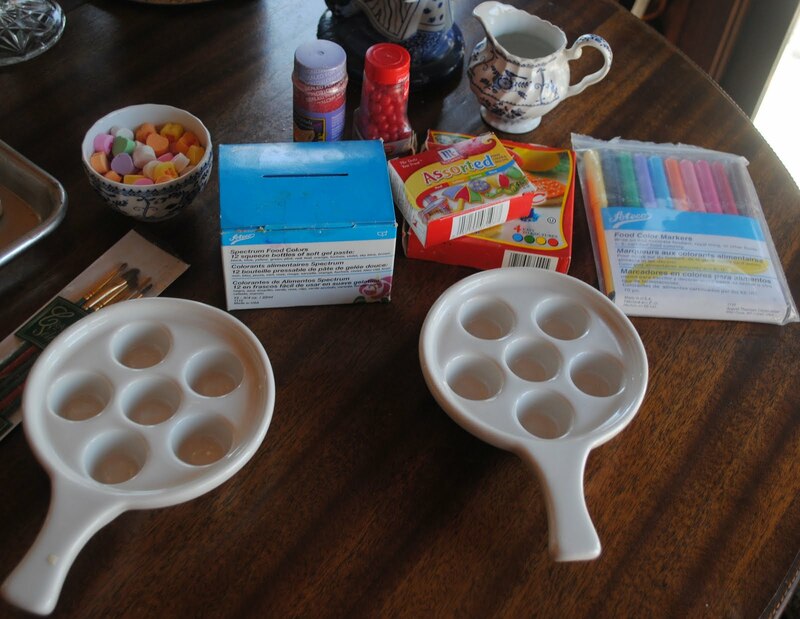 For it is perfect -- so perfect, in fact, that I'd use one even if I had matching knives! But as you can see, I have a "mixed bag" of knives, bought one at a time. My "Chef's Knife" (second from right) was bought by Husband Jim many many years ago in Tokyo. Made especially for me, it has my name engraved on it -- in Japanese! 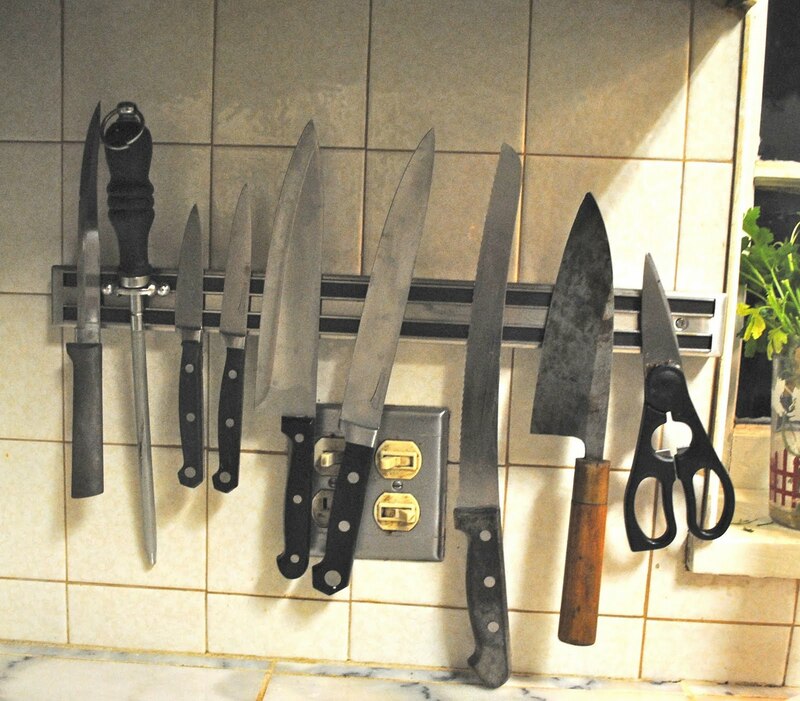 The bread knife (third from right) was from McDonald's when Husband Jim worked there. It's a great bread knife. The boning knife (far left) is my most recent purchase -- it came home to Linderhof from Minnesota -- and it is perfect for trimming meat. I'm not a big fan of paring knives but I do have do and use them -- but only occasionally -- the chef's knife sees the most use at Linderhof. It reminded me of my grandmother who used her "Butcher's Knife" for everything -- from slicing tomatoes to peeling potatoes. She never used anything but! I'm not sure that she even had a paring knife! My knives (especially my Chef Knife) are a "Few of My Favorite Things" -- please join me at Laurie's, Bargain Hunting with Laurie, for My Favorite Things Saturday. I used to love "Show and Tell" at grade school. For I love to share. It's so much fun to join Cindy at My Romantic Home for Show and Tell Friday. I've been moving things around a bit at Linderhof and decided that I needed a new table to go beside a leather chair in the sunroom. Not a big table for the sunroom isn't big. 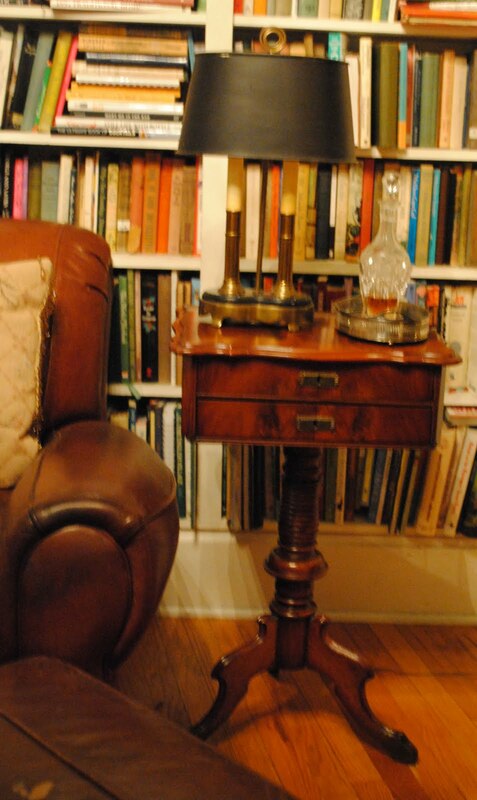 But an antique table (of course!). And either mahogany or walnut -- I'm not really an oak person. Sometimes it takes a looong time to find just the right piece at just the right price. 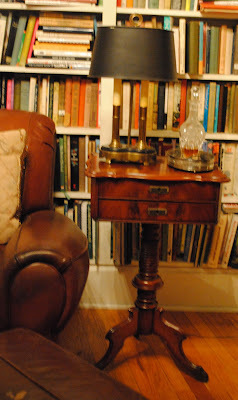 But not for this little table -- and I found it right here in my little town on the prairie!!! Going downtown last week, there in the window of one of the antique shops was this dear little table. . . 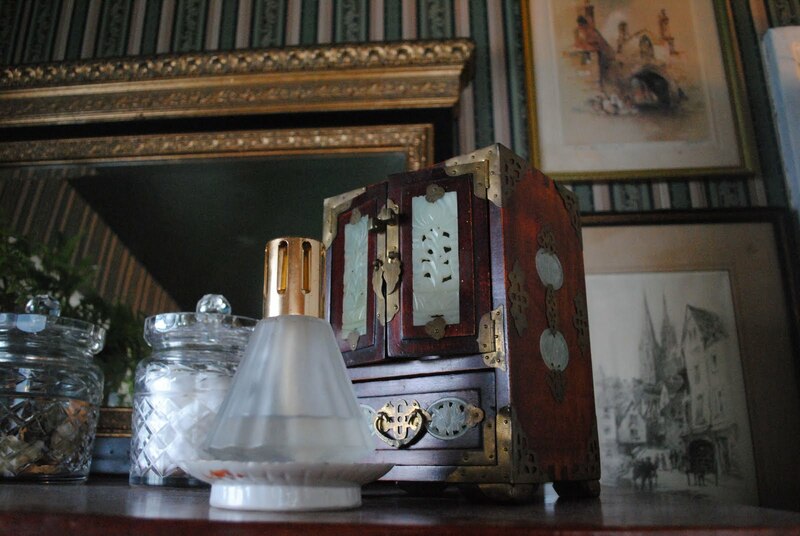 It's Victorian (dating between 1850 and 1870), it's walnut and has a great grain on the top. 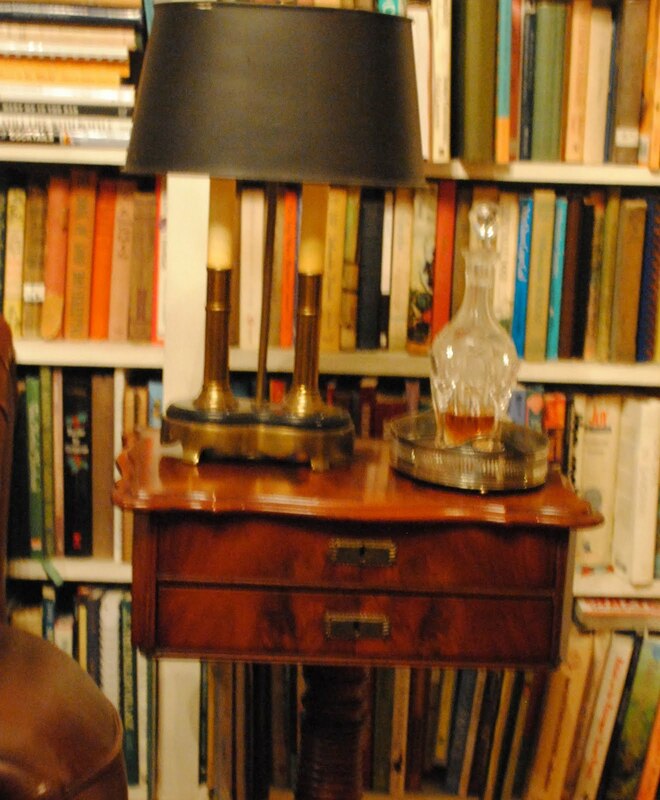 It's a two drawer Victorian work table with great turning on the pedastal. And it's perfect for beside one of the leather chairs in the sunroom. 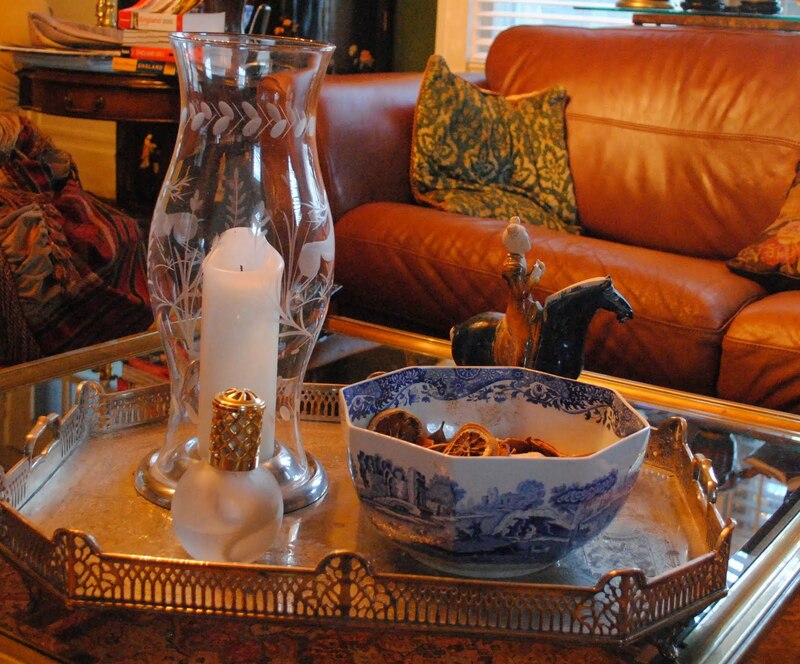 On top -- an old bouillotte lamp (from the estate of a Kansas City Judge) and a small silver tray with a decanter of brandy and two wee glasses. Handy for a nightcap. I love my new table and I love the fact that the search was short. I also love Show and Tell and so glad to be joining Cindy this Friday. 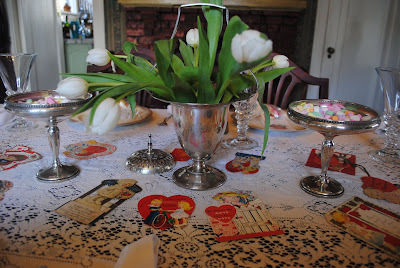 very year I invite five special friends to a Valentine's Luncheon at Linderhof. Every year fivedifferent friends. For as I've been told, it's a treat to have a Valentine's Luncheon at Linderhof. 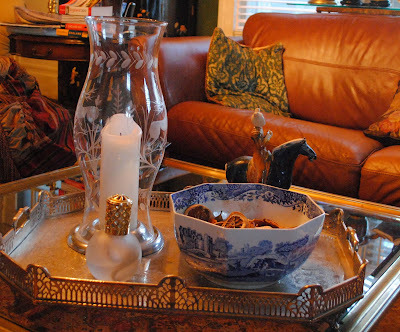 I love the house when the table is all set, the food is all done, and I'm alone just waiting for the guests. 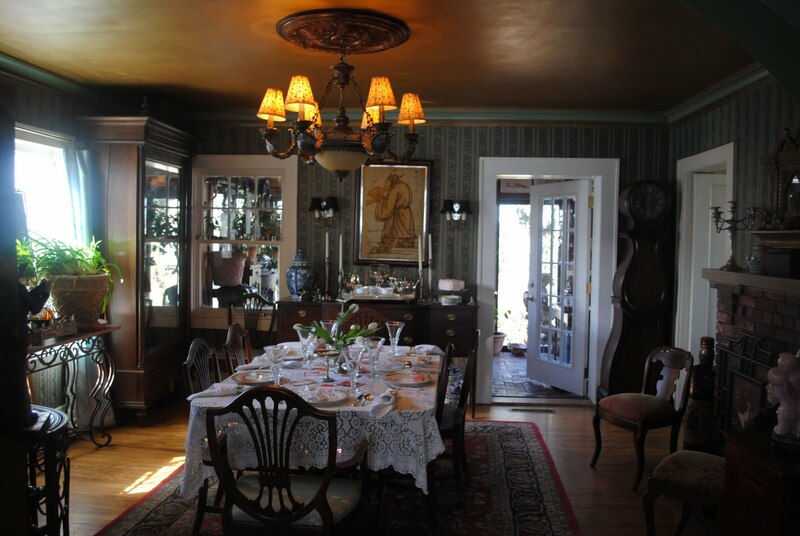 I love the expectancy of the dining room before a party! 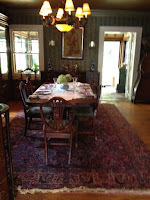 With six, we're in the dining room and each year the table is different than the year before or the year before that. This year, it's a Vintage Valentine for Luncheon! 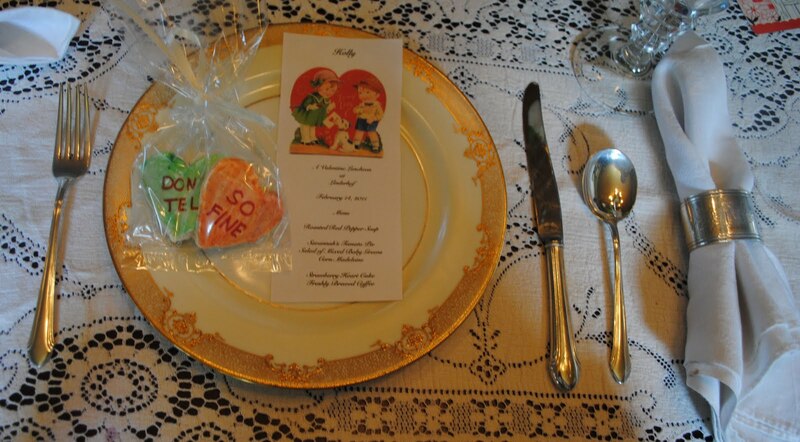 Vintage Valentine pictures are on the menu, each menu topped with the guest's name and their favor -- my "conversation heart" cookies. 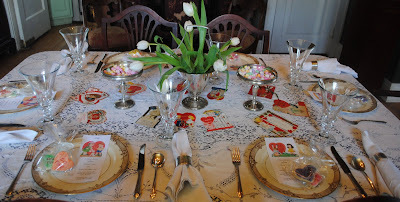 Grandmother's gold and cream china, the Romantique silver by Alvin, and of course, the napkin is in a silver ring! The centerpiece -- scads of vintage valentines, silver compotes filled with conversation hearts and a silver basket filled with white tulips. 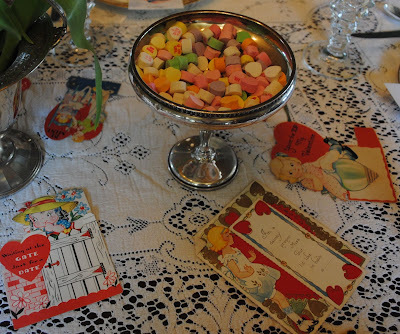 I love the vintage Valentines and the conversation hearts -- they remind me of Valentine's Day when I was a child! Savannah's Tomato Pie from Silver Service by Susan Mason. 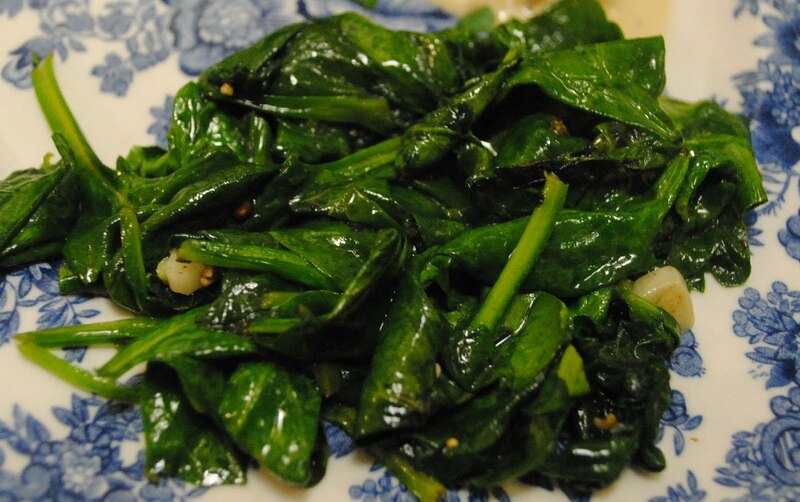 It's easy to prepare, should be served at room temperature (which makes it a great company dish) and is really yummy! And to start . 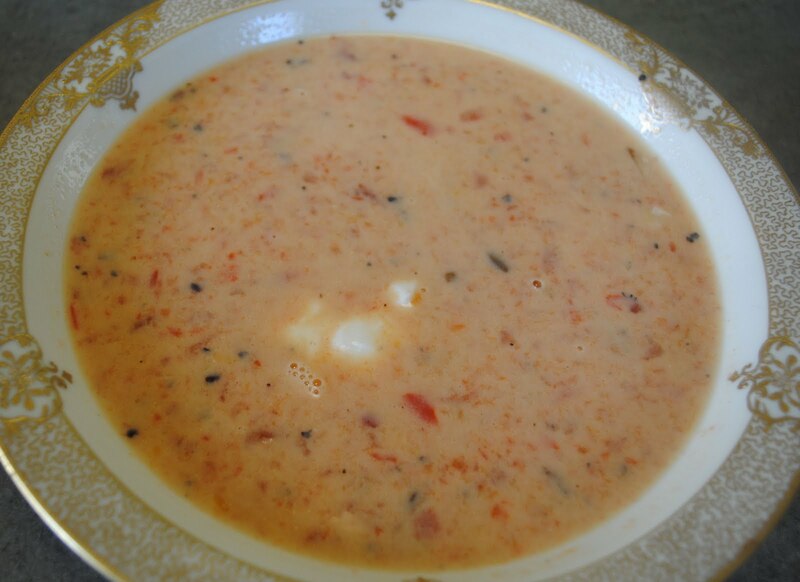 . . roasted red pepper and tomato soup -- with a dollop of sour cream! 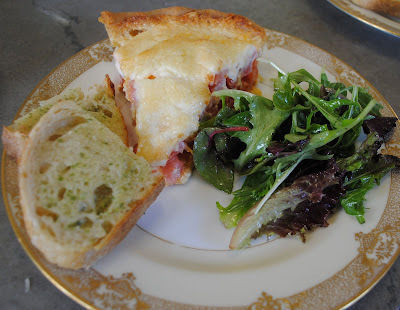 A slice of tomato pie, a salad of mixed baby greens and a slice of hard crust bread. And on the sideboard . 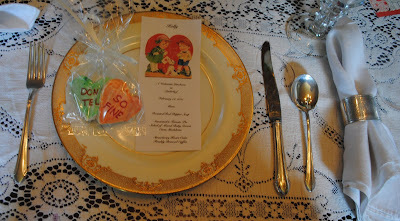 . . the dessert service is waiting until we finish the meal -- coffee (with my new cups and saucers) and of course . . . 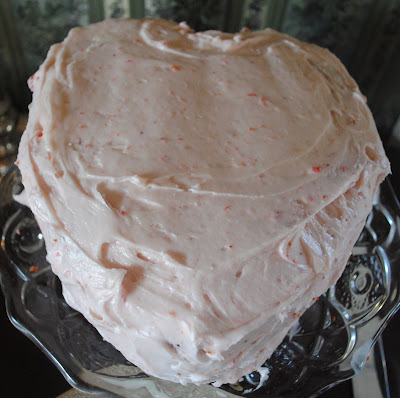 Strawberry cake baked in the heart shaped pans and frosted with strawberry cream cheese frosting! 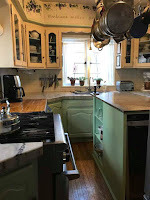 We had a grand time, then with the dishes in the sink (what would my mother have said), husband Jim and I headed for the city -- to enjoy a special Valentine's dinner of our own, a show at Jardine's and then a night at a bed and breakfast in St. Joseph. I truly was a special Valentine's Day!!!! 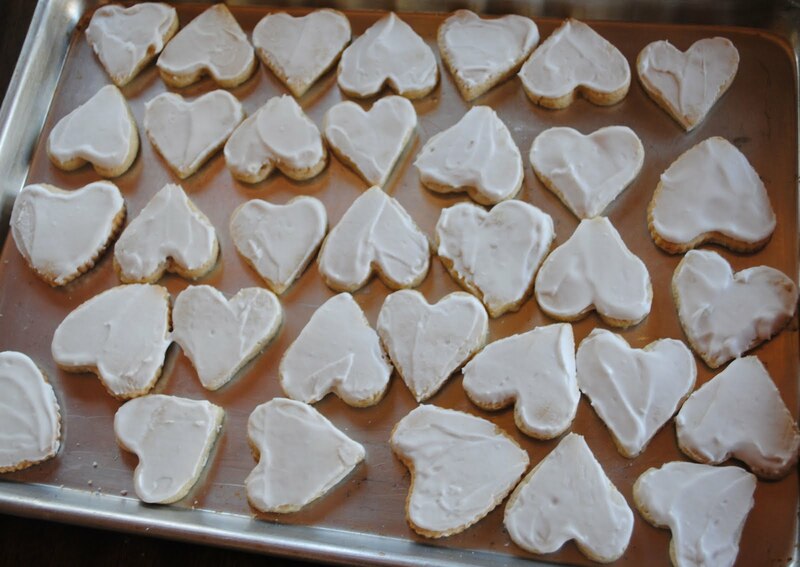 Decorated sugar cookies are a part of every holiday at Linderhof. And although we painted Valentine cookies on Saturday, we still also made traditional sugar cookie hearts. 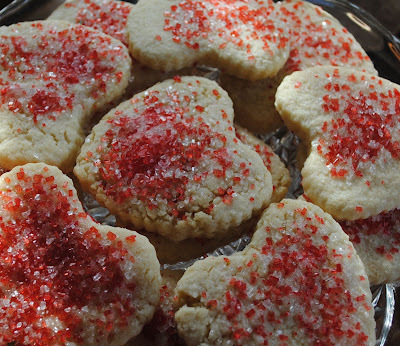 This year decorated simply with red and white sanding sugar. 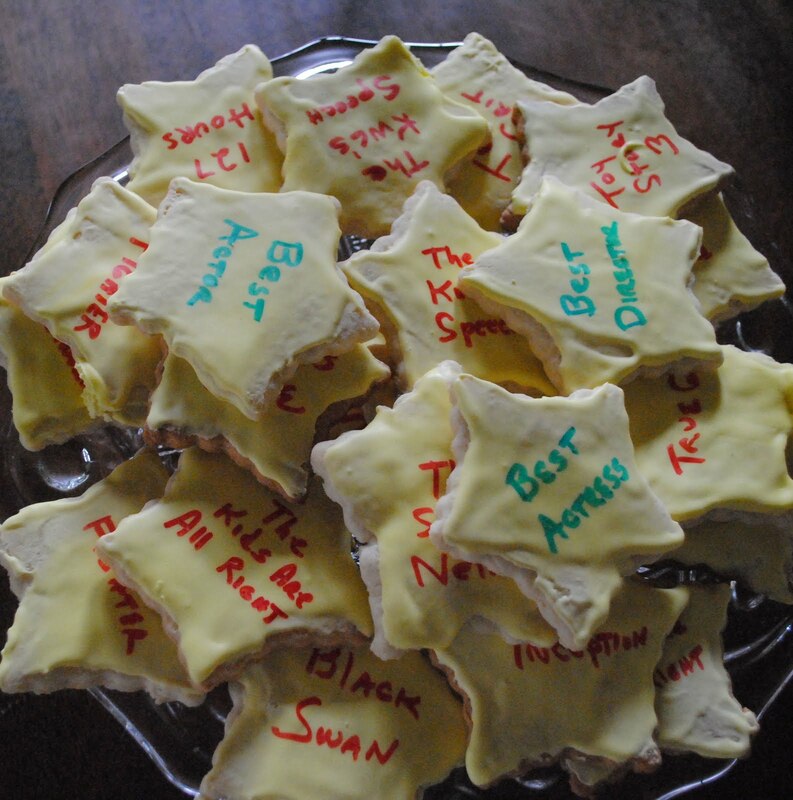 A whole platter of them -- some to much while we painted cookies and others available for tea the few days before the 14th. 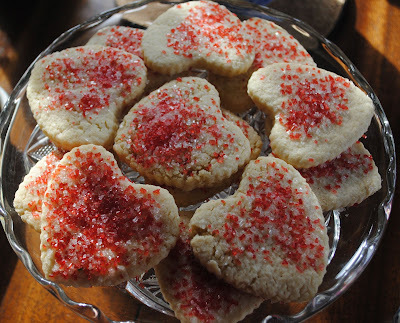 And on Sunday, friend Joyce came by with a Valentine for me -- and my Valentine for her, a cup of tea and a cookie (or two) while we enjoyed the warmth and sun of a later winter afternoon. 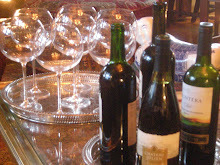 The shadows played on the table -- creating a shadowy tablescape. Some of the cookies will be packed in cello bags and delivered to friends at the bank and post office on Valentine's Day. Valentine's is not just for lovers -- it's for friends as well! 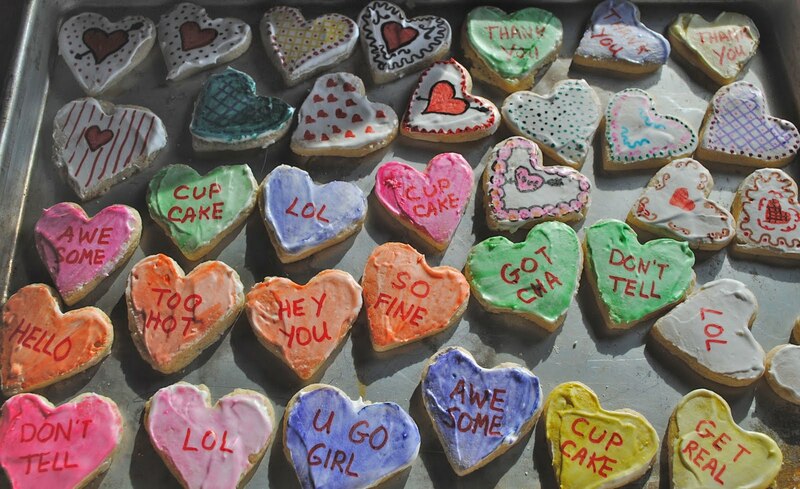 I learned that in Grade School when we made and delivered Valentine's to everyone in the class! The best part was making my post office box! There is nothing better than heart cookies and tea and a friend to share it with for a Valentine's Afternoon. I love Linderhof to smell well -- I have potpourri in bowls in several rooms (refreshed often so that it always has fragrance -- and it's homemade, of course!) which wafts a soft scent throughout the room. I have candles that I enjoy burning -- and not just when we have company -- I burn them when I'm home alone as well. 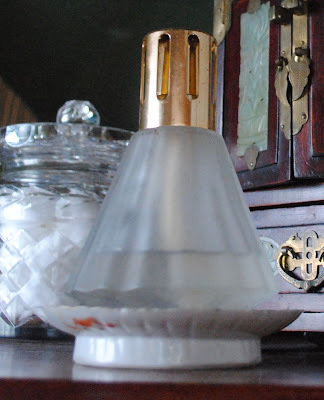 (Trapp Candles are my favorite -- either lavender or No. 2 - Exotic Spice) -- there's always one on the breakfast room game table and I often light it in the morning. But my favorite scent is the Lampe Berger -- a catalytic diffusion lamp that scents the air and removes odors. They're attractive, comes in many styles and colors and because there is no flame they are, in my opinion, much safer than candles. The living room . . . When we have company we'll burn them all and after after-dinner cigars, I'll make sure one is burning while I'm cleaning up -- it's amazing how well the house smells when we go to bed! 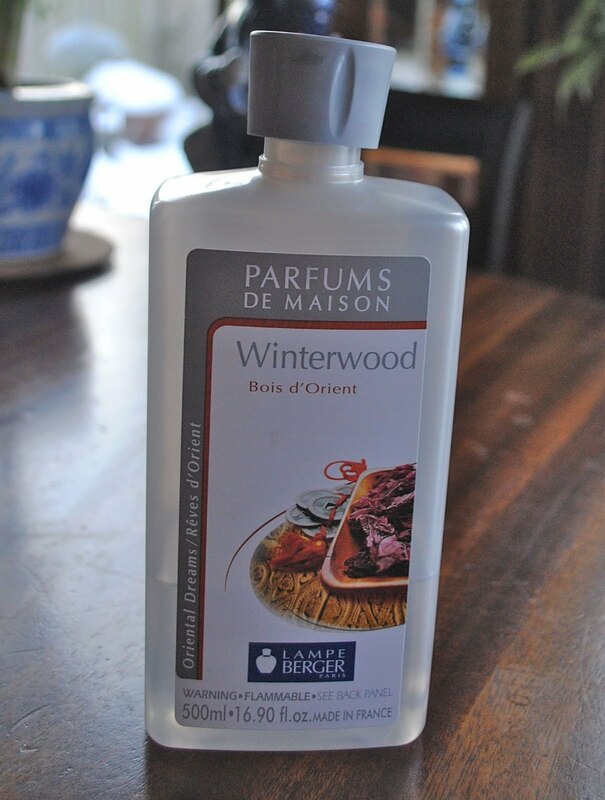 Winterwood -- a warm spicy fragrance. And although there are "copy cats" out there, the only oil worth burning is the Lampe Berger oil -- the other brands don't have enough fragrance. My shop of choice for both the lamps and the oils -- J'Adore, a wonderful and favorite shop in Brookside in Kansas City. I buy three or four bottles each time I stop. This fall, they had a wonderful pain d'epices fragrance that reminded me of gingerbread and come December they had another wonderful orangey cinnamon Christmas scent. 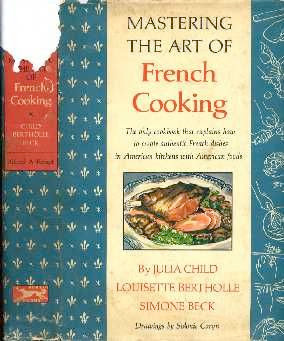 But the best fragrance of all is the aroma of something in the oven coming from the kitchen -- that really makes a house smell like a home!